Cebu is known for a lot of things. Besides playing a huge part in the history of the Philippines, the province is also one of the most recognized ones when you mention the Philippines to anyone. Part of what makes Cebu so popular with tourists is its ease of access from other major cities in the country. Whether you’re coming from Manila or Iloilo, you’ll definitely not find it difficult to catch a plane or a boat headed for Cebu. But what also makes a province so popular with visitors – both local and foreign – is what it has to offer. Be it food, goods or entertainment, these things strike a cord with people and make them want to come back and recommend it to other friends and family. Summer time in Cebu usually means heading to the beach and there’s quite a few options in the province. If you want something closer to the Cebu City, the beaches of Mactan Island will provide the sand, sea and sun you desire. Numerous resorts line up the coast – of various price ranges and amenities – and you just have to take your pick. But if you desire something much more closure to nature and untouched by man, then you shouldn’t mind the long travel to get to the north of Cebu, where most of the jaw-dropping beaches can be found. The most famous destination to the north of Cebu is definitely Bantayan Island. It’s a three-hour trip from the city and another hour to reach by boat. But despite the long travel, you’ll be rewarded with white sand and blue waters once you glimpse the shore. Sta Fe is where you want to be in Bantayan as that’s where you’ll find the majority of resorts with easy access to the beach. Other notable mentions in the north are Camotes Island and Malapascua Island. Malapascua isn’t much known for its swimming, but it’s a really popular destination for those who love diving. Camotes is remote and lovely and its ruggedness – just like Bantayan and Malapascua – is really appealing. 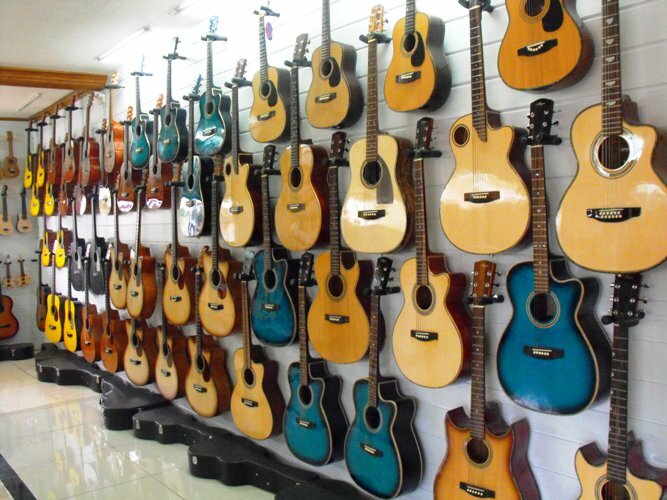 While guitars are sold in the malls of Cebu City, you need to travel far to get the really good ones. And by far, that just means Lapu-Lapu City on Mactan Island. Two of the most popular guitar makers in town are the families of Alegre and Malingin, both of which have stores in Lapu-Lapu. Guitar making is quite the tradition among these families. The skills for crafting such world-class instruments are handed down from generation to generation. All of the guitars made in Lapu-Lapu are done by hand and can come in traditional style of with more artsy designs on them. You can even have one custom made for you if you want. The guitar-making tradition in Cebu was passed by the Spanish who didn’t want to send their instruments back to Mexico for repair. So, they asked the townspeople of Opon in Mactan to make new ones, as well as repair existing ones. And the rest is history. A favorite pasalubong item among tourists, nothing beats this processed good made in Cebu. 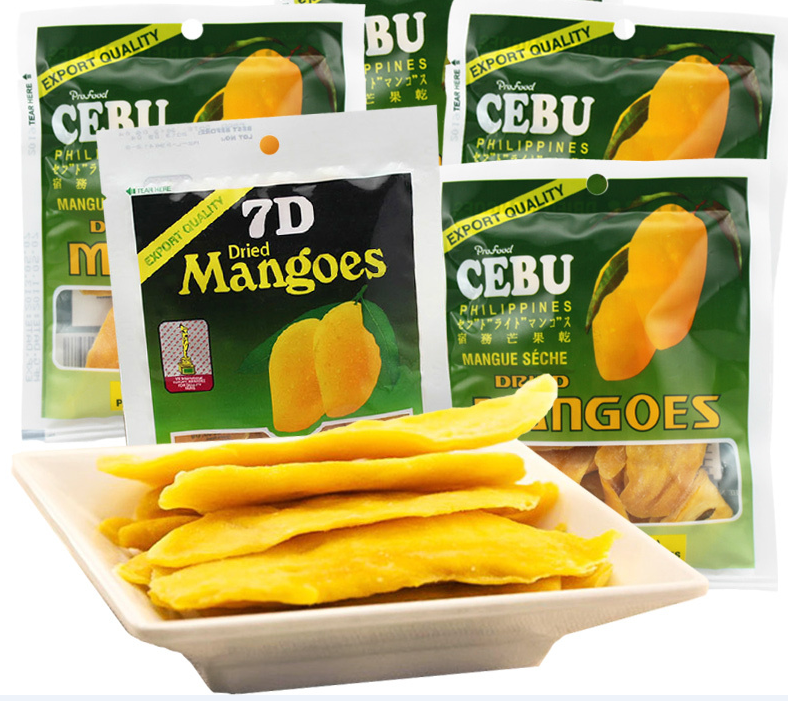 The food item is not hard to come by as well because it’s found in major groceries and pasalubong centers in Cebu City. What is a trip to Cebu without tasting its most famous cooked pig? There’s just so many varieties (boneless lechon, healthy lechon, etc) in Cebu these days. Before, the go-to place for getting lechon was CnT. Although they still get their fair share of customers, some prefer eating out at Zubochon. It’s marketed as a healthier kind of lechon and the restaurant is fancier too – and pricier as well! Of course, another delicacy made of pig that Cebu is quite popular for is chicharon. It’s sold all over the province, but the best ones are definitely from the province of Carcar. It’s worth the trip as there are many sights to see on the way as well. Danggit is another favorite pasalubong item from Cebu. 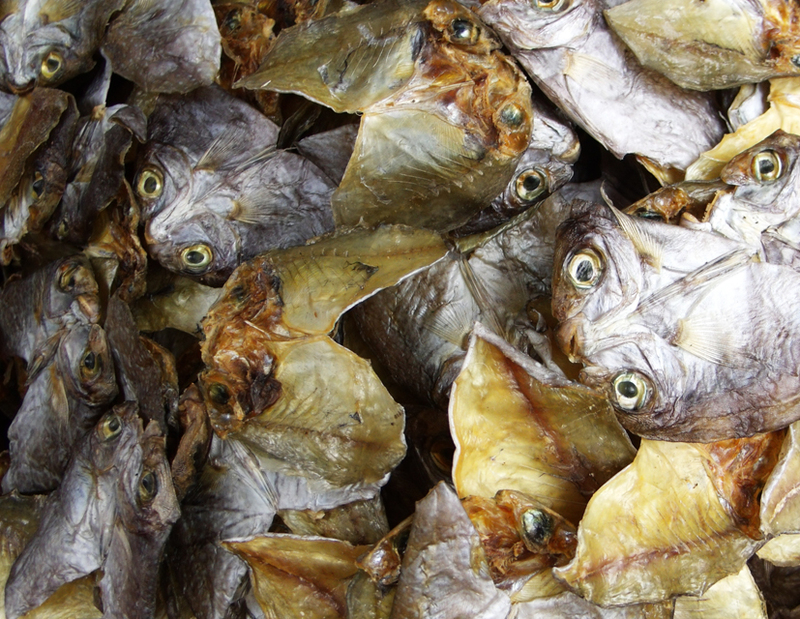 It’s basically dried fish that is served for breakfast in the province along with eggs and rice. No one will stop you if you want to consume it for dinner or lunch either. These are easy to find as well, but the best ones are bought at the Taboan Market. But it’s quite understandable why not everyone chooses to go there as the smell is really shall we say “fishy” and if you don’t mind taking a whiff of that scent or having it stick to your clothes, the experience of shopping there is quite fun. Other dried goods that can be bought there include pusit (squid), fish tocino, fish tapa and much more. Eating seafood in Cebu is also a must try. You can go to Su-Tu-Kil places in Lapu-Lapu where they lay out all the fresh seafood and you tell them how to prepare it. You could go with sugba (grill), tula (stew) and kilaw (raw). Every kind of seafood can be found here – fish, crabs, prawns, lobsters, squid, just to name a few. There are other notable items Cebu is known for such as rosquillos (biscuits from Liloan) and otap (puff pastry). Not to be missed is the heritage of the province as well. A trip to downtown Cebu allows you to see old buildings from the time of the Spaniards and a road trip south takes you to some of the best preserved churches in the province. Cebu is truly one of the best destinations in the entire Philippines. From its food to its culture to its history and to its entertainment, there’s something you’ll find worth remembering once you leave this lovely island in the Visayas.